Woolworths was proud of its entertainment credentials as it approached its centenary in the UK, knowing it was the best it could be. Strong leadership had helped it to navigate huge structural changes in the market with its share intact. Although margins were lower, unit sales in the High Street were at an all time high. Its Wholesale and Publishing Division was the envy of the industry. As Europe's largest distributor with state-of-the-art automated warehousing, big name retailers like Asda, Sainsbury's, Morrisons, W.H. Smith and Zavvi trusted it to handle their supply chains. It had also provided the creativity and skill to increase BBC Worldwide's sales exponentially by forming 2|Entertain. Yet weeks later the empire, which had been carefully built over an extended period, collapsed into oblivion. 2|Entertain was sold literally 'for a song' to the BBC and W.H. Smith took Bertrams Books. Everything else went to the wall. Its warehouse didn't burn down. Its stores didn't commit some terrible faux-pas. It simply ran out of working capital, at a time when the banks had stopped lending to each other, let alone to third-parties. Its collapse left major supermarkets without stock throughout peak Christmas trading. They made up for this later by snapping up its reserves at knock-down prices after it closed. The investors were left with nothing, while its staff were thrown on the dole. 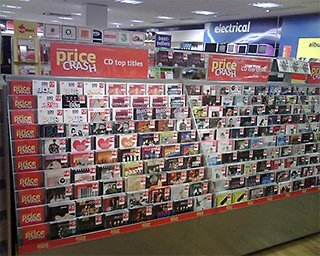 As it entered the Christmas season in 2008 the British Woolworths still offered market-beating prices on a wide range of CDs, videos and games, ninety-nine years after it had sold its first sheet of music in Liverpool. During the Eighties, its parent, Kingfisher, had built its entertainment offer, before securing its supply chain by buying wholesaler Record Merchandisers, renaming it Entertainment UK. In 1999 it had added VCI Group, a key music and video supplier with excellent publishing credentials. By then Kingfisher had become a multi-faceted international Group. Its progress was derailed by an abortive merger with Asda, forcing a rethink of its entire raison d'être. Big changes were to follow. After soul-searching Kingfisher hived off its non-core businesses. In 2001 it sold Superdrug privately, parceling up the rest into a new listed company. Woolworths Group plc consisted of the high street variety stores, along with the music and video specialist MVC, Entertainment UK, VCI Group and Streets-on-Line. It was saddled with debt before departing. Whatever its weaknesses, its entertainment credentials were impeccable, spanning the product life cycle, from creation to ultimate sale, on-line or in-store. Under a new strategy Woolworths targeted mums, while MVC was sold. Publishing profits rocketed after VCI partnered BBC Worldwide to form 2|Entertain. Wholesaling grew by acquiring Total Home Entertainment and Bertrams Books. New clients, including Asda, Sainsbury's, Zavvi and W.H. Smith, amply covered the loss of Tesco, EUK's largest client. After the departure of Christopher Rogers, the capable Finance Director who had also chaired the Wholesale and Publishing Division, the Group CEO stepped in to take control personally. To boost its profits and perceived market value, Trevor Bish-Jones extended the Entertainment range in the largest Woolworths stores, particularly those in out-of-town locations. 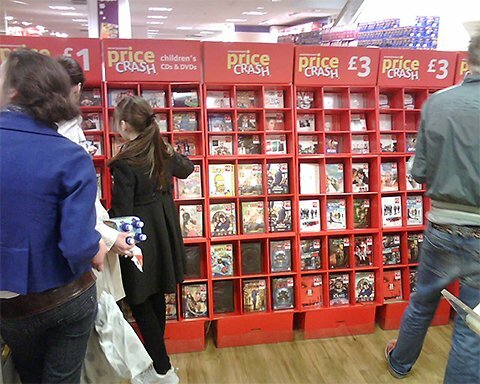 Despite the rapid structural changes that were unfolding in the market, under his leadership every High Street store continued to allocate twenty percent of its floor space and more than thirty percent of its inventory cost to music, video and games product, even as others were trimming back. He also persuaded the Board to buy Total Home Entertainment and Bertrams Books for cash from the Group's dwindling reserves, rather than increasing the share capital or seeking alternative financing for this. In retrospect the additional working capital that would be required to finance those companies' stock at peak times was ignored. The strategy sought to boost the sale of back catalogue and budget ranges in the High Street stores to balance the low margins generated by their traditional strength in selling chart titles. The publishing arm worked wonders in developing cheap compilation CDs, drawing on its huge back catalogue of royalty-paid tracks. Few shoppers were aware that whether they purchased an album on the Crimson, Demon, MCI, Emporio or even the Chad Valley label, it was supplied in-house by Woolworths Group. They had been designed, licenced, duplicated, shipped and sold by its different operating companies, keeping every penny of profit internally. As retailers pursued a "dive to the bottom" dropping chart prices to maintain share in a dwindling market, Woolworths matched them. 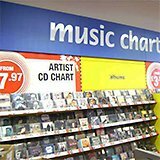 Chart CDs had commanded £12.99 in 2002, but sometimes sold for as little as £7.97 by 2008, generating just pennies of profit. The trading team proved their worth by finding a way of making money despite the dire market conditions. 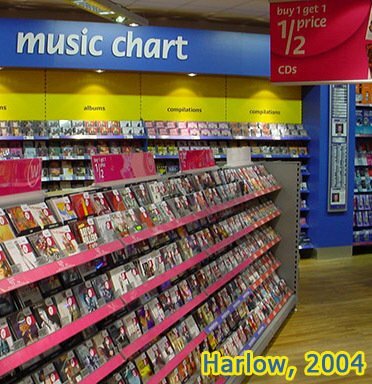 It developed the concept of a 'cheap chart', predicting which new albums and films would be most popular, and re-releasing the best material by the same artists in a second alternative chart, which were offered for a pound or two less. This proved a big hit with the public. 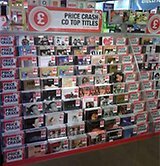 Not only did the cheap chart help to clear surplus catalogue stock from EUK, it also generated up to £2.50 profit on every CD or DVD sold. In 2007 the idea was developed further, with a new value range called WorthIt!. The first CDs and DVDs sold out within hours, proving the potential. 2|Entertain trawled its library for material, as sales figures revealed that customers appreciated a broad and eclectic range of titles. As an album took shape, its creative team designed a sleeve and its media publishing team made the discs. 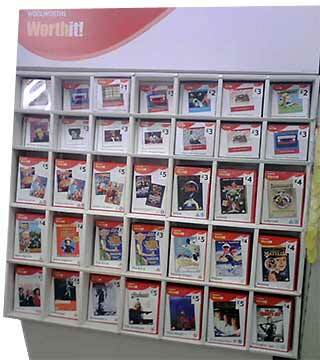 EUK topped up boxes of chart discs with WorthIt! lines so they cou ld be pushed through the Supply Chain at no incremental cost. Counter-intuitively this virtuous circle meant there was more cash profit on a £1 WorthIt! CD than on a chart title costing eight times more. As the hundredth birthday beckoned, the ghost of Frank Winfield Woolworth had returned to the floor. Customers were heard to say "why waste bandwidth downloading when the real thing costs peanuts? ", a modern twist on the very principle which had inspired the Merchant Prince to open his first store in Lancaster, Pennsylvania in 1879. With WorthIt! the chain had gone full circle. Some CDs had forty original artist tracks for £1, making a price each of 2½p, or in old money sixpence ! This had been the exact price of the first Little Marvel record when it had hit the shelves in 1921. Had that price risen with inflation, forty sixpenny tracks would have cost £87 in 2008! 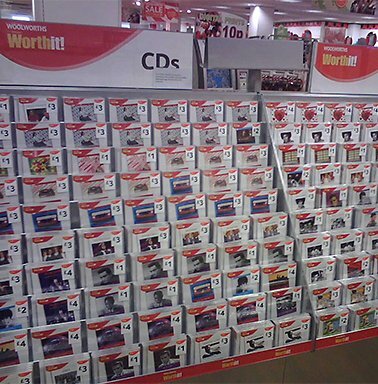 Ironically the innovations had helped Woolworths to sell more music and video items in 2008 than the stores had ever done before. As in the early days, the unit price was low but the margin was good. What was more, WorthIt! had only skimmed the surface of its full potential. As Entertainment staff attended training sessions in August 2008, they were promised a great release schedule for the hundredth Christmas, and improved availability to maximise sales. They returned to store enthused and walking tall. No-one had an inkling of the impending disaster that would make for a very blue Christmas indeed. Matters of high finance are well beyond the pay grade of store staff, or indeed of Buyers and Executives at Head Office. They have to trust their Board to handle such things, just as the Board trusts them to put the money in the till and not to take the stock home. Boards can implement staff searches and security measures to keep their people in check. But Woolworths Group staff had no CCTV in the Board Room to alert them to the fact that the bank accounts were empty, and the new CEO was hatching a plan to dump the 99 year old retailer to Hilco, a restructuring specialist, in a bid to save his lucrative wholesale and publishing ventures. It has since become clear that (while Woolworths was making a small loss) the financial problems stemmed from the wholesale division, which had won business by offering extended credit. Fears about a possible default by Zavvi had prompted credit insurers to withdraw their cover, forcing the Group to pay for its purchases up-front, rapidly consuming the limited reserves. Concern about Zavvi had also prompted questions about the new contracts to supply Sainsbury's, W. H. Smith, and William Morrison, which it was feared made the Group particularly vulnerable to a downturn in the market. As the cash ran low, Woolworths Group Directors tried to secure a top-up from their bankers, but failed. Instead the lenders demanded immediate repayment of the full debt of over £300m. Unable to pay, the Directors were required by law to take the Company into Administration before it became insolvent. It plunged not only Woolworths but Zavvi, W.H. Smith and the supermarkets into chaos. Across the industry DVDs and CDs destined for Christmas stockings became embroiled in contractual disputes between the manufacturers and the Administrator, as efforts were made to find a white knight to mount a rescue. The stores began to close just forty-one days after being declared insolvent, and were all gone within a week. Entertainment UK's remaining stocks, plant and mechanical handling equipment were sold to the highest bidder. When the music stopped and the shutters fell, there was not even a chair to collapse into.